Today’s WOW! is an exceptional artist. Joseph August De Leo’s art is as interesting as the artist himself. 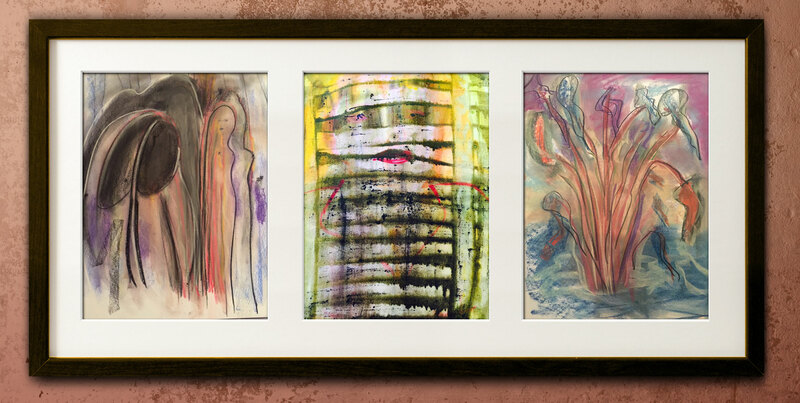 For that reason we decided not to choose just one of his paintings but three: “Shadows of Lingering Thoughts,” “Woman in a Sardine Can” and “Flower Wander”. Joseph August De Leo, or Joe, is a music educator and former director of music education at Five Towns College (presently Adjunct Instructor and university student teaching supervisor) at New York University. He has exhibited at the Soho photo gallery, as well in Santa Fe and in Argentina. Joseph is a member of the Brooklyn Waterfront Arts Coalition in Red Hook Brooklyn and also exhibits his work at the Greenpoint Gallery. To add to Joe’s many accomplishments let’s not forget director and founder of the Shubert Shakespearean Players (Baldwin, NY) and pressed flower designer that works at the Brooklyn Botanical Gardens. “Out of my work in many areas of the arts, I have emerged as a fine artist discovering the connections and interrelationship that exist within each; mixing and molding ideas and thoughts through color and light.” Joe told us. Keep updated with Joseph August De Leo’s work on his own Facebook page. 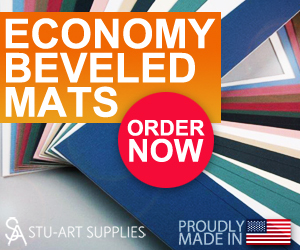 Joe uses mats and frames from Stu-Art Supplies. Tags:Joseph August De Leo, Wow!